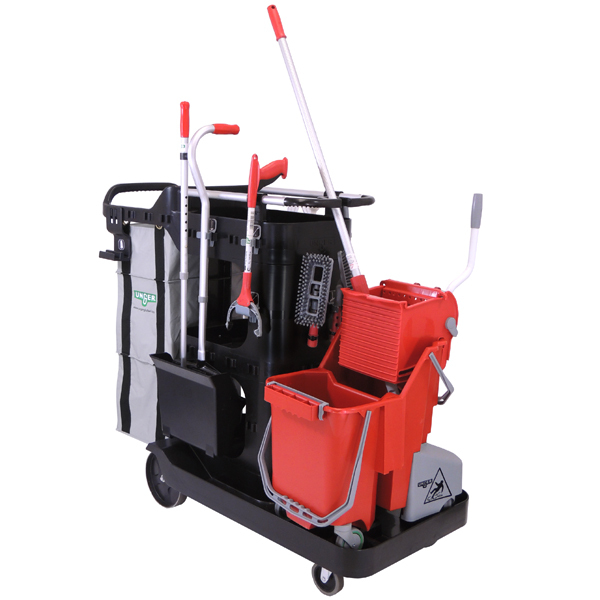 These are the first janitorial cleaning carts developed as a completely coordinated system by cleaning professionals. 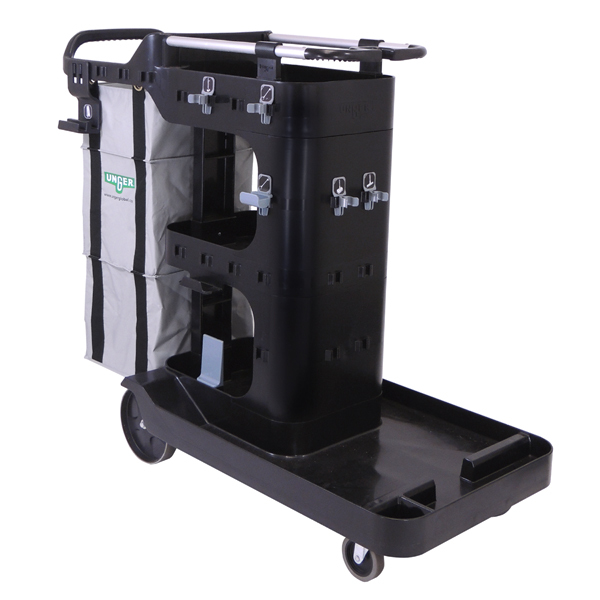 Streamlined cleaning carts significantly improve worker safety and productivity. 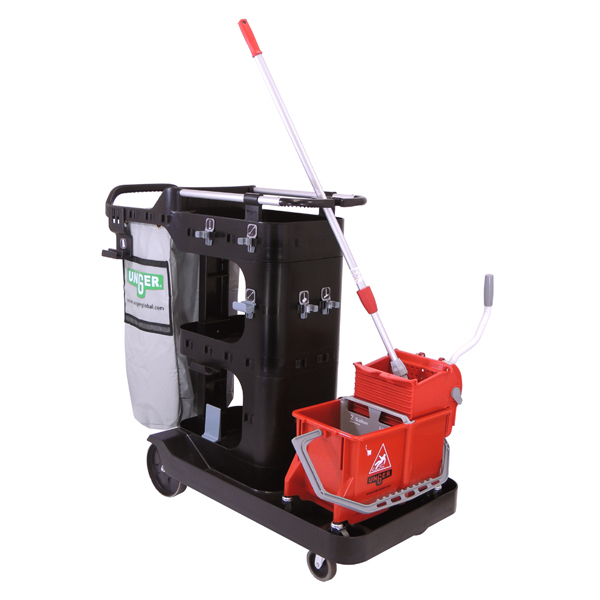 Choose from several sizes and systems to see immediate improvement in cleaning results. These carts' secure tool storage and variety of bucket sizes combine to create ergonomic, functional systems. Your custodians will have every tool at their disposal to guarantee sparkling results. The cleaning cart Storage Module eliminates restroom complaints. The effort it takes to return to a supply closet to restock supplies can waste more than time. With an expanded storage module, you’ll substantially limit trips to the supply closet. Even eliminating one trip a shift increases productivity. 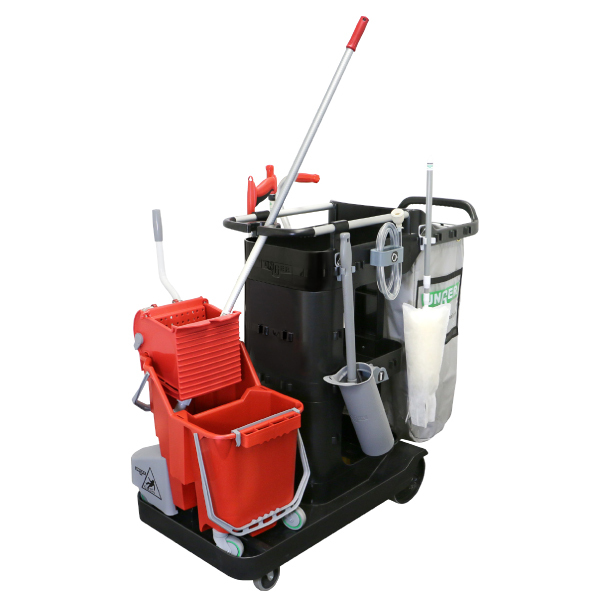 The patent pending Narrow Tool Tower design allows all cleaning tools to remain within the boundaries of the cart. Since no tools hang over the outside edge of the cleaning cart, getting through even tight doorways is easy. 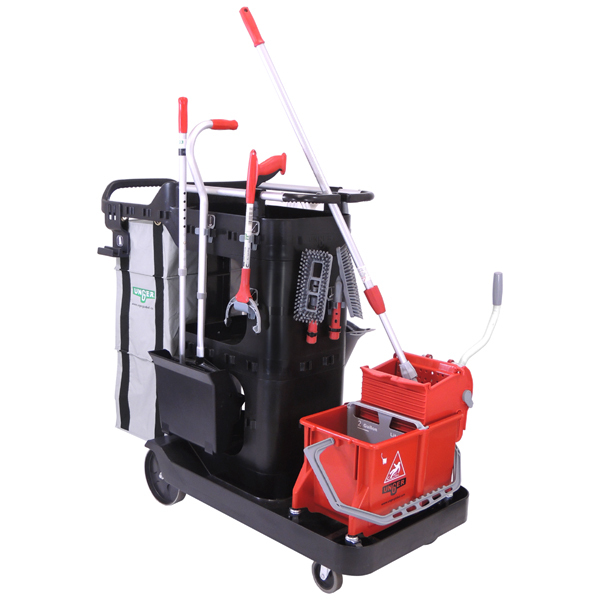 From the Dual Bucket System to the Telescopic Dustpan, the tools that comprise the cleaning cart system were developed to deliver optimal productivity and cleaning results. A patent pending Drip Tray keeps dripping from tools off the floor, and delivers ultimate bucket stability, even when going over curbs or thresholds. Unger's Ergo Rail eliminates poor posture. No matter which side of the cart you’re on, it can be pushed and pulled with ease. 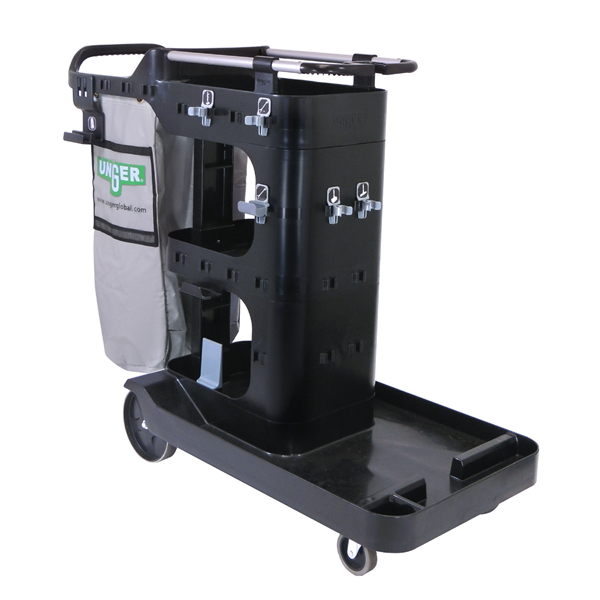 The ultimate portable cart for maneuverability, the handrail allows you to navigate in and out of restroom entrances quicker and easier. Patented clip system ensures all tools have an identified position on the cart, are securely in place while you are moving down the hall. No bending or reaching to get tools out/off of cart. RestroomRx Cleaning Specialist System Complete – 16 Qt. 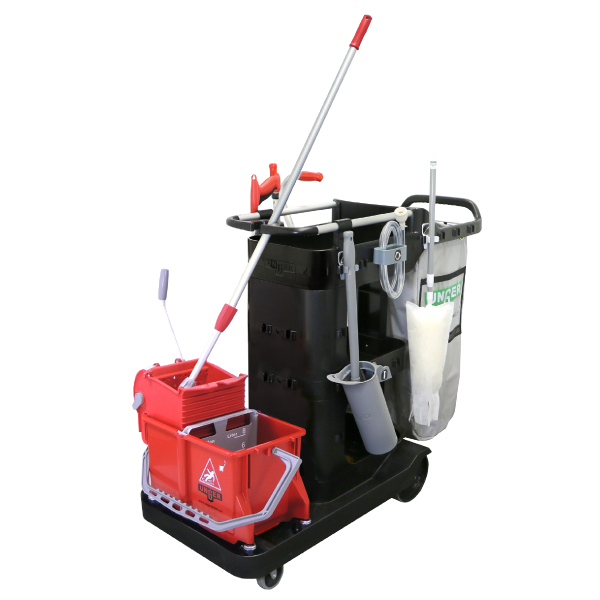 RestroomRx Cleaning Specialist System Complete – 32 Qt. RestroomRx General Cleaning System Complete – 16 Qt. RestroomRx General Cleaning System Complete – 32 Qt.